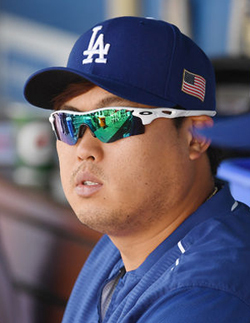 Ryu Hyun-jin of the Los Angeles Dodgers will likely sit in the bullpen for the postseason. Manager Dave Roberts said Tuesday that the Dodgers plan to audition Ryu for relief spots in the postseason. Ryu had a successful comeback this season after missing two seasons to recover from injuries, going 5-7 with a 3.46 ERA. But he seems to have been edged out by competitors from the starting rotation. Ryu appeared once as a reliever early in the season but spent the rest of the season as a starter.